Concert Diary: Shonen Knife made me Shonen Jump — Oh no, Anime! It's not often that Japanese acts come through our neck of the woods down here in Florida. In fact it hasn't happened in so long that, the past few weeks excluded, I can't remember the last time it happened in my lifetime. So imagine my surprise and delight when Osaka-born three-piece all-girl band Shonen Knife announced their latest U.S. tour and lo and behold, they had dates in both Tampa and Orlando. Unfortunately Patrick and I couldn't attend their show in our hometown of Tampa this Saturday, so we decided to brave the 3-hour round trip to Florida's own metropolis of nerd culture Orlando to see the rare sight of a J-Rock band live and in concert. Boy, was it worth it. 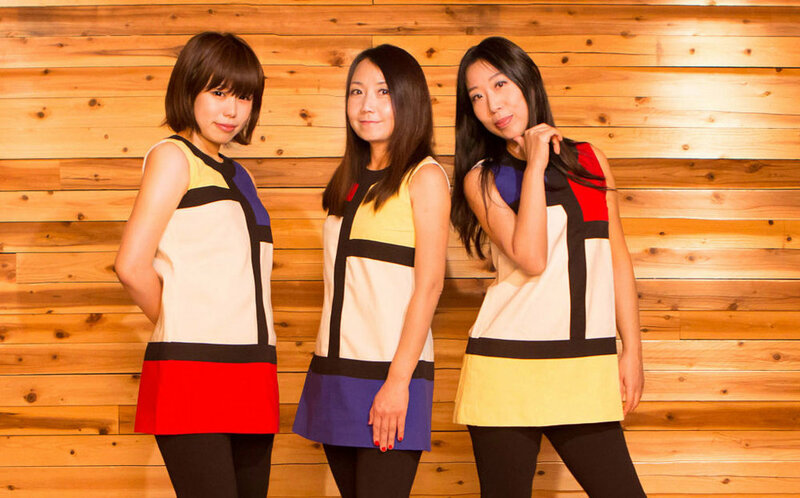 First, a little background: Shonen Knife was originally formed in the early 1980s by original members and sisters Naoko and Atsuko Yamano, and their friend and bassist Michie Nakatani. They saw widespread international success with alternative rock audiences in the late 80s and early 90s, and released records on the legendary western label Sub Pop which garnered them a particularly veracious cult following in the States. Well into the 90s they were performing alongside acts like Sonic Youth, opening for Nirvana and making the rounds on American late night talk shows. Since then they've toured the U.S. several different times, and have gone through quite a few lineup changes. The current lineup on this tour sees the return of the Yamano sisters, as well as a new drummer in Risa Kawano. The venue for last night's show was Will's Pub, a rock club in the Winter Park area of Orlando that is about as rock club as a rock club can be (think an entire wall dedicated to tattooed pinup girls). The opening acts were all pretty standard punk fare but Shonen Knife's direct opener, a local act called Wet Nurse, blew the rest of them out of the water with their pitch-perfect harmonies, fantastic live sound and wonderfully laid-back effortless energy on stage. I came to the show pretty much only to see Shonen Knife but trust me when I say I walked away last night with at least one new band to seek out and buy music from. By the time the ladies of Shonen Knife flipped the curtain aside and took the stage, the club was packed wall to wall and the air was hanging with the signature thick, humid heat of the Florida spring. Complete with an intro track and somewhat involved light show I was pleasantly surprised to see the three of them dressed in the shiny silver dresses worn in the video for the lead single off their new album "Adventure", called Jump Into the New World. The crowd was extremely happy to see them as one might expect, and I was happy to see how diverse the gathering was as well. Everyone from younger folks from my generation and even younger, to fans of theirs from the 90s and older than that as well, to punk rockers and metalheads and everything in between. It seemed to be an extremely uplifting experience for everyone involved, regardless of where they were coming from. Shonen Knife opened with the title track off their 2012 album Pop Tune, a fast and boisterous track that is a perfect introduction to their sound, influenced nowadays by equal parts pop rock and old-school punk. Their guitar riffs more often than not sound like something from the Ramones, while the lyrics and subject matter of their songs cover wide-ranging topics like cute animals, shopping, and various foods. From moment one Shonen Knife's charm was on full display, and the audience was absolutely loving it, as they introduced the members of the band after a few more quick-fire tracks to thunderous applause. After the opening section the band jumped into a few successive songs off their new album, starting off with Jump Into the New World before moving into the slow, driving 70s sound of Rock n Roll T-Shirt and finishing on the hilariously cute Green Tangerine (Kabosu) written and sung by their new drummer Risa Kawano, who delivered an absolutely fantastic smiling energy throughout the entire show that was infectious. These three tracks represent the kind of maturing Shonen Knife has done as they've grown up, influenced by a much heavier and harder 70s rock sound than the type of candy-punk they once were known for. The rest of the show was kind of a blur if I'm perfectly honest. Their set squeezed as many songs as humanly possible into an hour, leaving very little room for breathing or breaks between songs. Fan-favorites like Capybara and Ramen Rock were played, and I was really happy to see that I wasn't the only one in the audience singing along. They also played a few more songs off their newest album, including Wasabi, a personal favorite of mine that might as well have been an advertisement for wasabi paste (a recurring theme with their songs about food). Alas, what felt like five minutes passed and then the show was over, but not before the girls returned to the stage for an encore performance of what was the most requested song of the night, E.S.P. What's more, we were all treated to a vastly extended live version of the song that was clearly reworked for encores, with a lengthened chorus at the end and alternating half-time and double-time switches that kept the audience head-banging and moshing until the very last chord. Walking out of the venue last night battered, tired beyond belief and facing an hour and a half drive back home after midnight I can't impress how much it was worth it. I was so amazed to see how much Shonen Knife had matured and evolved, and yet also how much they had kept the spirit of what made them popular in the first place perfectly intact. Their sound was different and varied but the matching outfits, adorable lyrics and synchronized on-stage hair flips were still there. Seeing Shonen Knife is not something many people in my generation can say they've done, and we were only so lucky that this magical band of women from halfway around the world decided our podunk state was worth visiting to bring smiles to all our faces. It was a live experience I can't say I've had too many times before and I would do it all again in a heartbeat.